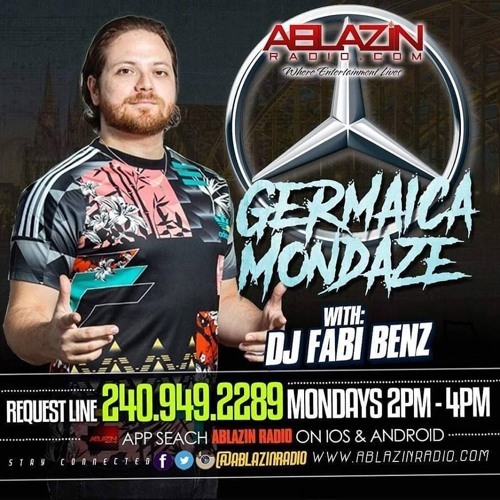 Reggae | Dancehall | Soca Radio-Mix hosted by Fabi Benz. Broadcasted on January 28th, 2019 on Ablazin Radio FM. W/ new music from Stylo G (Safari Records), Cali P & TEKA, Meandawg (US Premiere), Bounty Killer, Sean Paul & Stefflon Don & Idris Elba, Munga, Spice, Massive B (Crime Scene Riddim) and more. New show every Monday - start 8pm EU / 2pm Eastern time. Download the FREE Ablazin Radio App for iOS and Android. Or search Ablazin Radio in the #TuneIn app.